Jimmy Martin (August 10, 1927 ? May 14, 2005) was an American bluegrass musician, known as the "King of Bluegrass". Born James H. Martin in Sneedville, Tennessee, beginning in 1949 Martin was lead vocalist for Bill Monroe's "Bluegrass Boys,". Martin's high voice mixed with Monroe's tenor came to be known as the "high lonesome" sound. His influence radically changed Monroe's music from the fast-paced but smooth style of the "original" 1945 band with Flatt and Scruggs. Martin challenged Monroe to raise the pitch on many of his classics and to write new, "lonesome" songs. Born James H. Martin in Sneedville, Tennessee, beginning in 1949 Martin was lead vocalist for Bill Monroe's "Bluegrass Boys,". Martin's high voice mixed with Monroe's tenor came to be known as the "high lonesome" sound. His influence radically changed Monroe's music from the fast-paced but smooth style of the "original" 1945 band with Flatt and Scruggs. Martin challenged Monroe to raise the pitch on many of his classics and to write new, "lonesome" songs. This band with Rudy Lyle (banjo) and Charlie Cline (fiddle) was one of the many high points of Monroe's career. Martin's lead was defining in "lonesome" songs such as "Sitting Alone in the Moonlight", "Memories of Mother and Dad" and "I'm Blue, I'm Lonesone". Martin had a famously high-strung and exuberant personality, and inevitably clashed with Monroe's equally stubborn temperament. He left Monroe and worked briefly with the Osborne Brothers until he formed his own band, "The Sunny Mountain Boys" in 1955. The classic lineup of this band, with J. D. Crowe and "Big" Paul Williams (stage name for Paul Humphries) defined his "Good 'n Country" style, a commercially-oriented, crowd-pleasing bluegrass with simple harmonies, catchy melodies, and a strong rhythm propelled by Martin's simple but effective guitar playing. Among his biggest hits of the 1960's were "Hit Parade of Love", "Sophronie", "Stepping Stones", and "Widow Maker" (a popular truck driver's song). Martin was famous as a dangerously unpredictable but highly-entertaining stage presence. He freely acknowledged his problems with drinking and volatile mood swings, which kept him from realizing his life-long dream of joining the Grand Ole Opry. He made frequent appearances on the Louisiana Hayride and the Wheeling Jamboree, as well as the Grand Ole Opry, but was never invited to join the latter. He performed on the Nitty Gritty Dirt Band's 1971 album, Will the Circle be Unbroken. In 1995, he was inducted into the International Bluegrass Music Hall of Honor. 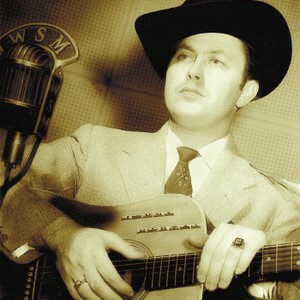 A documentary on his life, King of Bluegrass: The Life and Times of Jimmy Martin, was released in 2003. Martin is also featured in High Lonesome. Martin's hobby was raccoon-hunting with dogs; he famously featured his hunting dogs on the covers of several LP albums and wrote songs celebrating their prowess. Jimmy Martin died Saturday May 14, 2005 in Nashville, Tennessee after having been diagnosed with bladder cancer more than a year earlier. He is interred in the Spring Hill Cemetery in Madison, Tennessee.